The grim specter of death hangs over us all. But for certain people, some forces guaranteed to kill wind up being reduced to mere nuisances. Take a look at six examples of people who can fend off the Reaper—providing he’s playing by their rules. The World Health Organization has declared rabies fatal “nearly always” if the bite victim hasn’t gotten vaccinated following exposure. It’s a lousy way to go, too: infected patients develop hydrophobia (a fear of water) or muscle paralysis leading to coma. But in 2012, the U.S. Centers for Disease Control announced they had found six people living in the Peruvian Amazon with rabies antibodies who were in good health. Since antibodies are only created after vaccination or after exposure—and only one had been vaccinated—scientists concluded they had survived some degree of viral infection, possibly owing to the high concentration of vampire bats in the area. Dutchman Wim Hof once felt an overwhelming urge to jump into icy water. Feeling no worse for the wear, he graduated to Arctic marathons and North Pole swimming. Hof has been studied by experts in hypothermia and displays no adverse effects to freezing temperatures under controlled conditions. In ice water, his body temperature has plunged as low as 93.6 degrees without shivering. (Ninety degrees can prove fatal.) Hof told The Guardian he can withstand the cold through meditation and appears to have the confidence to back it up: He once tried climbing Mount Everest in nothing but shorts and ascended roughly 24,000 feet. Timo Kaukonen has made a name for himself on the Russian sauna competition circuit: the Finland native once withstood a 230 degree Fahrenheit room for 16 minutes in 2003. (Water boils at 212 degrees.) Under such conditions, burns and hyperthermia become serious considerations. Kaukonen’s onetime competitor, Vladimir Ladyzhensky, collapsed and died shortly after one such event in 2010. If Tom Sietas should ever find himself trapped underwater, he’ll have at least 15 minutes to figure things out. A German free diver, Sietas holds the world’s record for holding his breath underwater at over 22 minutes. Since those attempts are frequently after inhaling oxygen, though, it wouldn’t do Sietas much good if he went overboard spontaneously. Good thing he can hold his breath unassisted for over 10 minutes. Typically, brain damage occurs after three to four minutes without respiration. Sietas’s lungs are believed to hold 20 percent more oxygen than a normal person’s. Who can say what compels a man to essentially “milk” the venom from millions of poisonous snakes? 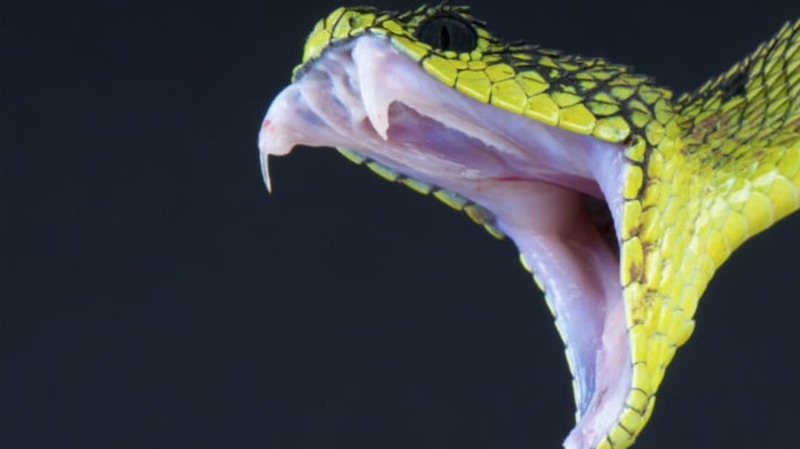 Bill Haast spent decades handling vipers, cobras, diamondbacks, and other reptiles under the banner of his Serpentarium Laboratories, which supplied the key ingredient—poison—in anti-venom formulas for bite victims. In order to handle his high volume of ornery suppliers, Haast injected himself with venom every day for 60 years. Despite being bitten over 170 times, he was never fatally struck. When he passed away, it was of natural causes—at the age of 100. Guzzling too much water in too short a period of time can easily induce hyponatremia, a condition where the body becomes so overloaded with fluid the kidneys are unable to keep up and your bloodstream becomes diluted. (In 2009, a woman died from a marathon water drinking contest arranged by a radio station.) But Ghana’s Dickinson Oppong is somehow able to down liters of water in minutes without absorbing it. His stomach contains the liquid before Oppong spits it back out, avoiding everyone’s least favorite conclusions to a party trick: brain edema, coma, and death.